When Greg finds himself transported in time back to 1,000 BC he feels more than a little lost. Greg is an outcast in this foreign time and place; but then he finds a friend who helps him to survive. Hopelf is a Native American who teaches Greg how to hunt and fish and about the cultures of his people. After Greg saves his friend Hopelf’s life the native people honor him for his bravery. Despite finally achieving a sense of belonging, Greg is still determined to find a way back home. Young history buffs will revel in this book which offers fun and interesting historical elements wrapped up in an engaging story; and reluctant readers may discover an affinity for the subject of history. 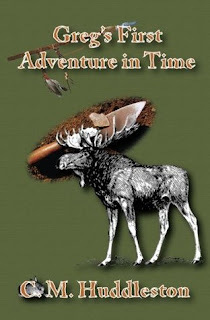 Greg's First Adventure in Time sets the stage for many more books, all of which are likely to spur an interest in the imaginative minds of young readers while fueling an interest in learning about history. Greg's First Adventure in Time is highly recommended and has earned the Literary Classics Seal of Approval.